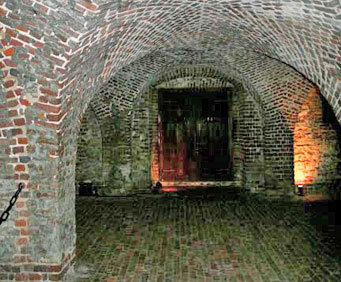 Old Charleston Ghost Walking Tour is no longer available. 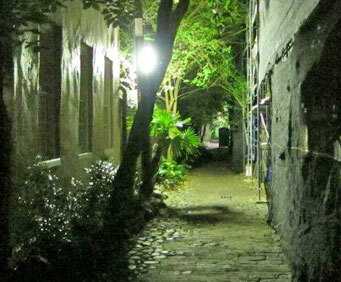 Explore the dark and mysterious side of Charleston with the chilling Old Charleston Ghost Walking Tour. This guided walking tour takes you by foot under the cover of night's darkness through less-traveled streets and pathways throughout the city. In a city whose founding dates back to 1670, the area is just bustling with ghastly tales, stories of woe and heartbreak, jealous rages, unrequited love that ends in tragedy, and strange and haunting shadows and apparitions. 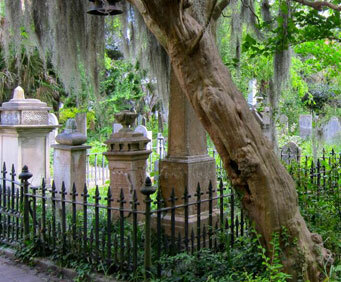 This tour is the perfect opportunity for you to explore the frightening and often untold tales of Charleston. 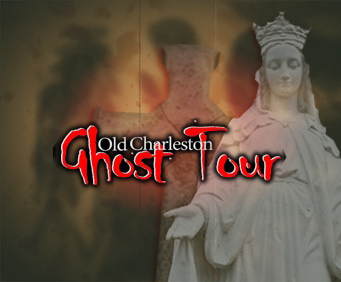 The Old Charleston Ghost Walking Tour is led by critically acclaimed historian and tour guide Mike Brown who will share with you in chilling detail many of the city's most haunting stories as you travel through the darkened streets. You will visit haunted graveyards, stand outside the darkened windows of Pre-Civil War mansions, and visit many other historic sites rumored to be haunted. This tour has received national attention on television channels like BBC, the Home and Garden Channel, and SCETV. If you want to get to know the spookier side of Charleston's rich history, make plans to treat your whole family to the memorable and fascinating Old Charleston Ghost Walking Tour. Reserve your space on this tour today! This was a fun way to end our evening in charleston.